DESCRIPTION Views of the lake from your living room and upper floors! Steps to all area amenities including the beach club and all it has to offer, as well as the community shopping district just a block in the other direction. This is not your typical semi-detached on the busy Boulevards and newest sections deep into the community. Stunning exterior architecture, fully mature landscaping, 9 foot ceilings, upgraded hardwood, wired for sound, and AIR CONDITIONING. White kitchen cabinetry with subway backsplash, quartz counters and stainless appliances including the gas stove you always dreamed of having. From the master retreat, watch the morning sunrise with unobstructed views of the lake. Enjoy a large walk in closet and gorgeous ensuite. A new basement Bedroom is large enough for a teen retreat or long term guest / family member. Quiet cul-de-sac location near the community access, public transit and the newly opened Westman Village with its fine dining and medical services. Call to view today. 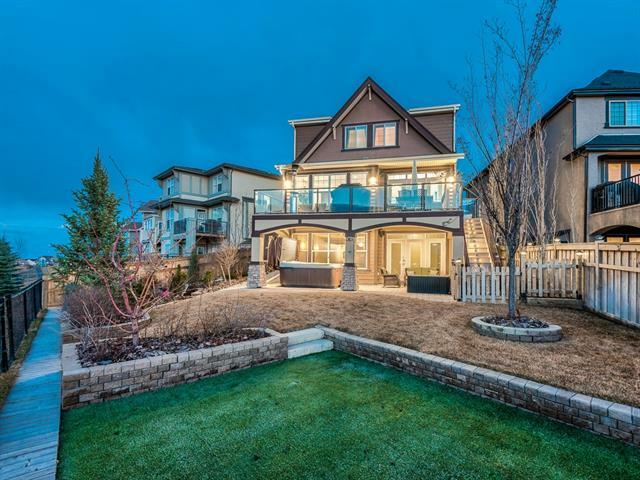 Home for sale at 77 Mahogany PT Se Calgary, Alberts T3M 0T2. 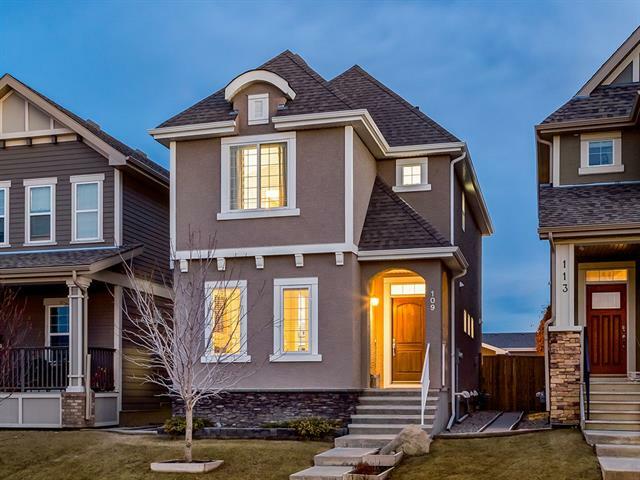 Description: The home at 77 Mahogany PT Se Calgary, Alberta T3M 0T2 with the MLS® Number C4237596 is currently listed at $429,900.